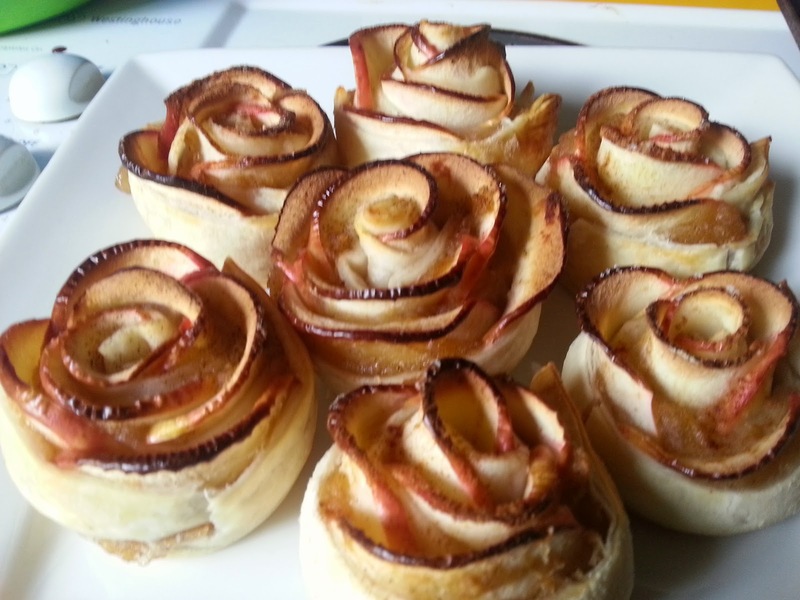 I'm not usually one for decorative cooking, food presentation would be one of my weak points, It's probably a subheading under 'Lack of attention for detail' but these just seemed too good to be true so I jumped on the Apple Rose bandwagon and here is the result. 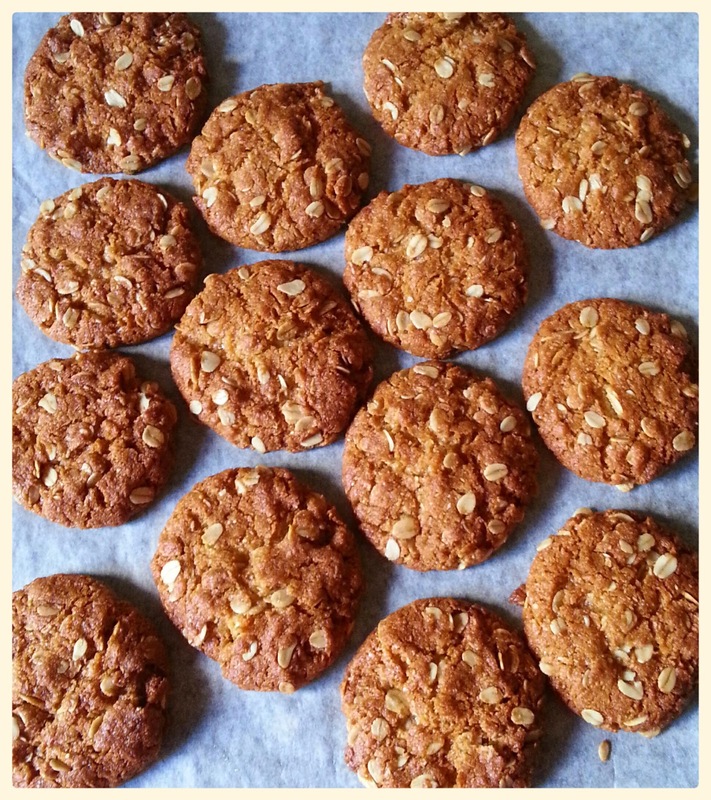 ANZAC biscuits, originally named Soldier's Biscuits, have a tough history to trace. Many believe these biscuits were sent to the soldiers on the front lines but there is also contradictory claims that these were eaten at galas and fates, sold on the home front to raise money to support the war efforts. I would certainly like to believe that those poor gents on the front were able to enjoy these tasty morsels of sweet comfort food but perhaps it is more likely that the army doled out Anzac tiles and wafers which differed greatly from the ANZAC biscuit we are familiar with. These were hard tack, a bread substitute, which had a long shelf life and was very hard and probably not very tasty at all. Baking Anzac biscuits is one tradition that Australians use to commemorate Anzac day. Everyone has their favourite recipe and there are countless arguments over whether they should be served crunchy or chewy. I do both, crunchy on the edges and chewy in the middle. I love spending time in the kitchen with my husband, there's something so satisfying and enjoyable about creating something special together. When i say getting creative in the kitchen I am, of course, talking about food just to be clear. Combining two of my favourite things in one place. Last year my talented understudy made some pretty nice Hot Cross Buns, nice enough for me to request a repeat. I think he knocked it right out of the park this year with this recipe though. Perfect mix of spices and fruit and the density is just right.